The BH Fitness S7Ti Treadmill comes standard with the Bluetooth enabled i.Concept technology which allows you to seamlessly connect your Apple® or Android® device via Bluetooth and enjoy your favorite Apps while exercising; read a book, update your status, or check your email. i.Concept is health and fitness, integrated. It comes with a Whisper quiet 4.0 HP drive motor that provides unparalleled durability and reliability, Active-Flex II suspension technology allows for a shock absorbing landing with firm push off for comfort and efficiency and a Large 22”x 62” running surface enables a safe and comfortable workout. Our award winning line of residential products offers the latest technologies and features at value prices. Often costing far less than competitive models, the Signature Series is a great fit for your home. The Signature Series is a complete line of products including Treadmills, Ellipticals, Bikes, Indoor Cycles and Rowers. iConcept display compatible with Bluetooth enabled iOS and Android devices. Whisper quiet 3.5 HP DC drive motor provides unparalleled durability and reliability. 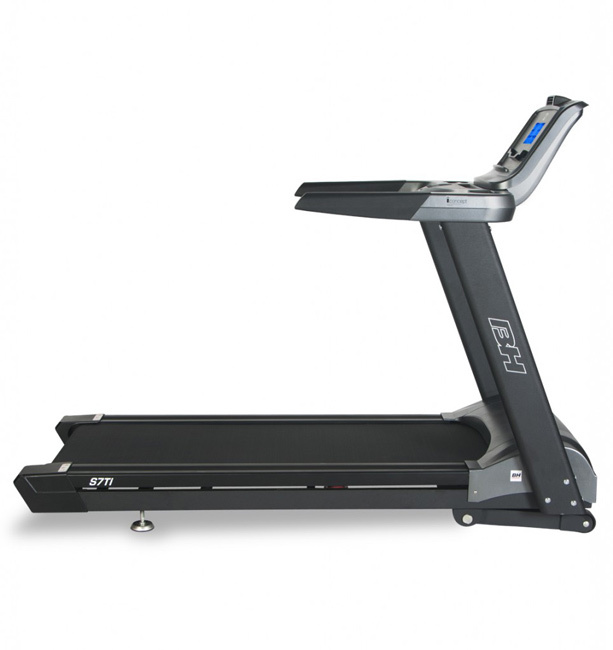 Spacious 22" x 62" running surface enables a safe and comfortable workout. Active-Flex II suspension technology allows for a shock absorbing landing with firm push off for comfort and efficiency. Polar® wireless HR compatible. Use a polar HR chest strap to readout your HR on the display console or interact with built-in HR control programming. Personal refreshing cooling fan for motivation to go the extra mile.